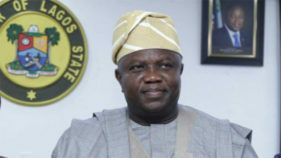 But for the last-minute decision by the leadership of the Peoples Democratic Party (PDP) to defer the planned presentation of flags to its governorship candidates in the Southwest, the lingering crisis in its Ogun State chapter would have marred the party’s zonal presidential rally in Ibadan, the Oyo State capital. The standard bearers of the party in Lagos, Oyo and the contending factions in Ogun State, led by Senator Buruji Kashamu and Hon Ladi Adebutu, had fully mobilized their members to the Mapo Hall, venue of the rally to receive the flag.While there was no contention as to who should wave PDP flags in Lagos (Jimi Agbaje) and Oyo (Engr Seyi Makinde), Ogun State presented a different scenario that threatened to polarize the party leadership. 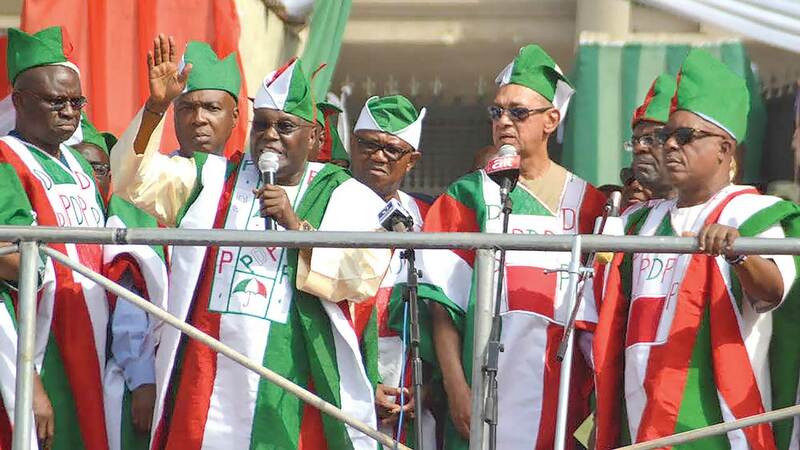 Hundreds of supporters of the warring Ogun factions, who engaged themselves in “abusive competition and open display of strength,” were disappointed when the rally ended without a flag to any of the factional leaders.The Guardian gathered that while the rally was going on, some Southwest leaders of the party advised the national leaders to skip the aspect of presentation of flags at the rally to avoid bloodshed. 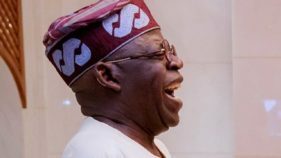 It was also gathered that after the rally, some members of the National Working Committee (NWC) planned to present the flag to the candidates at Ibadan Airport, but Kashamu’s faction got wind of it and his supporters were said to have truncated the plan. Since the coming of the current PDP leadership, it had been insistent on recognising the Sikirulai Ogundele-led Exco, which produced Hon. Ladi Adebutu as its governorship candidate, while describing the Bayo Dayo faction that produced Kashamu as its standard-bearer, as impostors.Although the Independent National Electoral Commission (INEC) had accepted the list of candidates submitted by the Dayo Bayo faction because of subsisting court judgments that validated it, the list from the party’s national secretariat has not been accepted. Adebutu’s faction had approached the Supreme Court asking for a stay of execution on the Appeal Court’s verdict, which validated Buruji’s faction, but failed in that bid.Yet, while the Kashamu group rolled out drums to celebrate the judicial victory, the NWC issued a disclaimer, insisting that Adebutu is the party’s governorship candidate. In a statement by its National Publicity Secretary, Kola Ologbondiyan, PDP insisted that Ladi Adebutu is its candidate for the next governorship election in Ogun State.“This declaration puts to rest all controversies, uncertainties and misgivings regarding the authentic governorship candidate of the PDP in Ogun State. Ladi Adebutu was duly elected as the PDP candidate in the primary conducted by the National Working Committee (NWC), the only body empowered to conduct such primaries, and his name and particulars have since been duly submitted to the Independent National Electoral Commission (INEC) by the leadership of the party,” the statement added. Although Senator Kashamu’s threat prevented the party from presenting flag to the candidates in Ibadan, the party went ahead to do the presentation at its National Secretariat in Abuja. At the event, PDP National Chairman, Prince Uche Secondus, took a swipe at Kashamu for imposing himself on the party, just as he described him as an agent of the ruling All Progressives Congress (APC). While expressing optimism that the party would triumph in the legal tussle over its governorship candidate in Ogun, Secondus declared that Adebutu was duly elected in the primary as the PDP candidate. 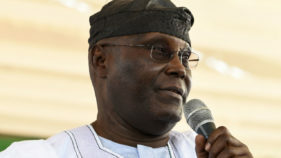 He said the party’s primaries were monitored nationwide by INEC, adding that names of PDP candidates were submitted to the commission by the party’s leadership in accordance with electoral guidelines. Kashamu reacted to the presentation of the party’s flag to Adebutu, saying that Secondus should be held responsible “for breach of public peace and safety should there be a breakdown of law and order in Ogun State” in the build up to the 2019 general election.He urged the Attorney-General and Minister of Justice, Mr. Abubakar Malami, the Inspector-General of Police, Mr. Ibrahim Idris and the Director-General of the State Security Service (SSS), Mr. Yusuf Magaji Bichi, to take cognizance of Secondus’ conduct which, according to him, is capable of causing tension and breach of public peace. Kashamu commended the notable leaders and elders of PDP, who have always upheld the rule of law and democratic ethos even in the face of unjustified provocation.Also reacting to the development, a member of House of Representatives representing Ijebu-North/Ijebu-East/Ogun Waterside Federal Constituency, Hon. Adesegun Adekoya said: “The presentation of flag to Adebutu is of no consequence as it does not change the name of PDP governorship candidate in Ogun State. It is also unfortunate that PDP that is criticizing President Buhari for not respecting court orders has refused to obey court orders. 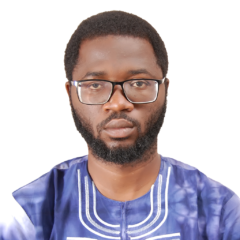 Nonetheless, the party has dismissed Buruji as a desperate hireling of anti-democratic forces bent on causing confusion, triggering violence and bloodletting in the 2019 general election and “derail our hard-earned democracy.”The PDP leadership also described Buruji as an interloper and impostor, who would soon face prosecution for printing and selling fake PDP nomination forms to members of the public in violation of the provisions of the Electoral Act and the PDP constitution, which vests such powers only on the party’s NWC. But Buruji denied being an agent of anybody, insisting that he would fight for his right with the last drop of his blood.He said: “I urge the judiciary, the legislature and the executive arms of government to take cognizance of the happenings in the PDP as they relate to the Ogun State PDP issue. It is not about my supporters or me. It is about our democracy and respect for the rule of law which are being endangered by the activities of Secondus and his ilk. There is a subsisting court judgment that has resolved the issue of who is the state chairman of PDP in Ogun State and restrained the party from removing him until he serves out his four year tenure as guaranteed by PDP’s constitution. “It was the state chairman recognized by law and the teeming members of our party in Ogun State that presided over the state congress, where the governorship candidate was elected. The other group has no legitimacy of any sort than to claim national leadership’s backing as if the power of the national leadership of the party is absolute. While the altercation and legal gymnastics continue, both Kashamu and Adebutu have begun campaigning in the state, a recipe for possible violence and further weakening of the PDP support base in Ogun State. SIGNS that Ogun State would be a hotspot during next year’s election emerged recently, when despite the internal disputations in PDP, one of the rival factions organized a rally to kick-start it’s electioneering. Many observers have wondered why the Ogun State chapter of the party is still finding it difficult to put its house in order to take advantage of the current disjointment in the ranks of the ruling APC. Indeed, the biblical saying that ‘every kingdom divided against itself is brought to desolation, and every city or house divided against itself will not stand’ may come to fulfillment in Ogun State except PDP settles its divisions regarding the state chapter both in the state and national level. Based on prevailing political circumstances in the party, PDP stands the risk of losing the election to either the disjointed APC or African Democratic Congress (ADC), which has Gboyega Nasir Isiaka as its standard bearer.Addressing a rally at Ijebu Igbo last Monday, Kashamu boasted that his party (faction) has what it takes to rescue Ogun from the many problems inflicted on it by APC since 2011 when the incumbent governor, Senator Ibikunle Amosun, took over. The Senator, who is the governorship candidate of his faction of PDP, alongside his deputy, Dr. Reuben Abati, stands out as a possible sure ticket to propel the state to greater heights going by the crowd of supporters at the rally. Kashamu vowed never to allow any force or antics of opposition distract him, just as he promised to run a people-oriented government if elected as governor. He stated: “I had performed creditably well in representing Ogun East in the National Assembly and I promised to surpass my achievements as a senator, if given opportunity to govern Ogun.”He hinged his right to the PDP ticket on the fact that the courts and the Independent National Electoral Commission (INEC) have validated his candidacy, even as he pledged to continue from where the outgoing administration of Senator Ibikunle Amosun would stop in May 29, 2019. He stated: “Politics is like a game of chess, full of intrigues, ups and downs. But the mammoth crowd you see here says it all. We would not be distracted. We are focused on our mission of taking Ogun State to greater heights. In 2015, when I contested to represent the good people of Ogun East Senatorial District, I promised selfless representation. That is what I have given. And there is no better proof than the over 90 projects that we have attracted to various parts of Ogun East Senatorial District. 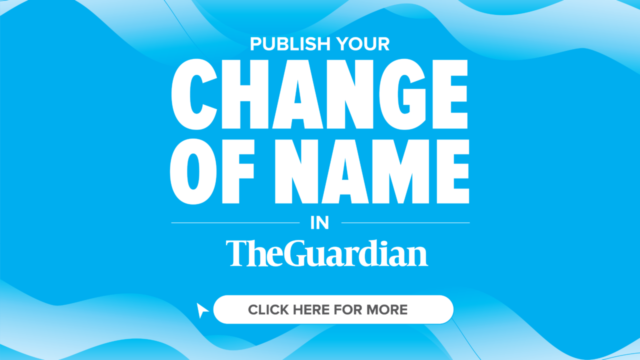 It is the first of its kind. No one has that record in our Senatorial District. “This aspiration affords me yet another opportunity to continue to touch lives in diverse ways and on a bigger level.”On the controversy trailing the Ogun gubernatorial ticket, Kashamu said there was no ambiguity in the party, while tactically berating Adebutu. The senator contended that the Adebayo Dayo-led executive of the party remained the only authentic and legally recognised PDP structure in the state. According to him, “The national leadership of our party supervised and approved the congresses that produced the Engr. Adebayo Dayo-led state exco in 2016. There have been several court judgments that affirmed the validity of the state exco under the leadership of Dayo.”He recalled that in the buildup to the 2019 general election, congresses were conducted by the Dayo-led state exco in line with Section 25 (1) of the PDP Constitution (as amended in 2017). According to Kashamu: “That is all we have done. If anyone decides to go and collect a flag in an office in Abuja, it does not bother us. They say they are the candidates of the party. We say we are the candidates of the people, backed and the rule of law. As the governorship candidate of the PDP in Ogun State, I extend my hands of fellowship to all and sundry. I am ready, able and willing to work with everyone in the overall interest of our party.”But while reacting on the development, Deputy National Chairman South West zone, Dr. Eddy Olafeso dimissed the senator and the factional executive led by Dayo as mere jokers. He told The Guardian that Kashamu has been expelled from the party some couple of months ago and, based on that he, has no right whatsoever to represent PDP in the coming 2019 elections under any circumstances.